Indie-Folk trio I See Rivers return with new single ‘Give Up’ and new EP. 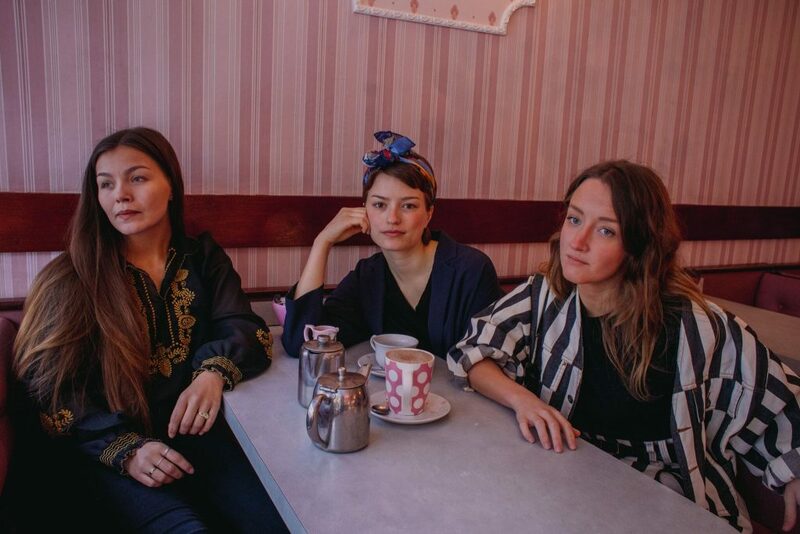 Originally hailing from the Northern, Southern and Western parts of Norway, the UK based trio I See Rivers move in a musical landscape that they’ve dubbed ‘Float Folk’. After the outstanding response from their 2017 debut EP they are finally back with their new single ‘Give Up’. ‘Give Up’ is an enchanting stripped back groove showcasing their greatest asset: their distinctive and unmistakable harmonies. It’s a song about a journey of love and loss and letting go and a teaser fro their their forthcoming EP. With memorable melodies and unique vocal harmonies their soundscape can be associated with artists such as Fleet Foxes, Sufjan Stevens, and Feist. We were first introduced to the band when they did a session for us at the Belladrum Tartan Heart Festival in 2016. The band played, ‘Play It Cool’ which we understand will be the next single to be released from their brand new EP. Eline Brun, Gøril Nilsen and Lill Scheie are renowned for winning over audiences with their unassuming yet astounding presence and musicality as they perfectly blend harmonies and instrumentation.